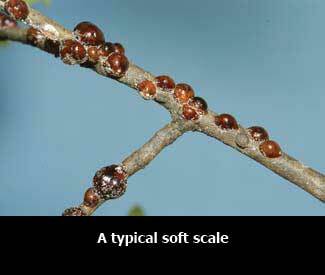 Scale insects are divided into two groups, soft scales and armored scales, and if you need to control a scale problem, it helps to know which type of scale you have. 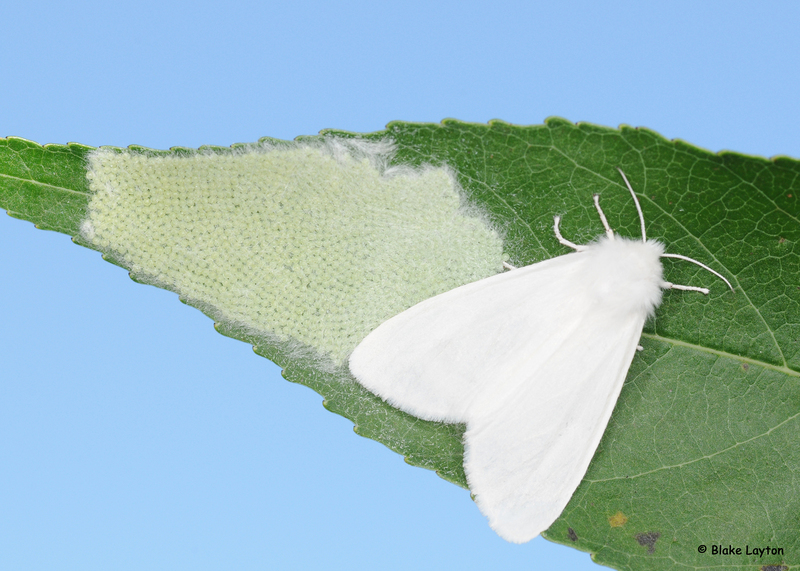 The most important distinction is that soft scales produce honeydew, which supports the growth of sooty mold fungi, while armored scales do not produce honeydew. 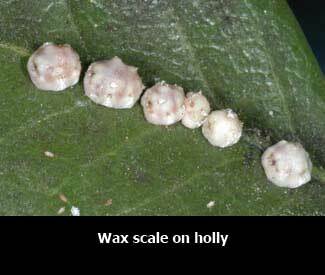 Soft scales also tend to be larger and to have fewer generations per year, but produce larger numbers of eggs per female. 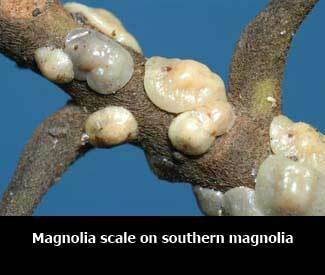 Some of the most common species of soft scale in Mississippi include: magnolia scale, which can be a serious pest of deciduous magnolias (like Japanese or Star Magnolia) and sometimes occurs on evergreen magnolias (like Southern Magnolia or Little Gem); tulip tree scale, which occurs on yellow popular trees and on magnolia; oak lecanium scale, which occurs on many oaks and is especially common on willow oaks in urban settings; and various wax scales, which occur on hollies and many other ornamentals. 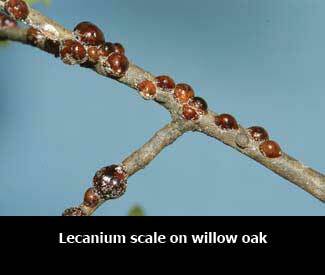 Most scale insects are immobile for much of their lives, feeding underneath their protective covers in one place on the plant. 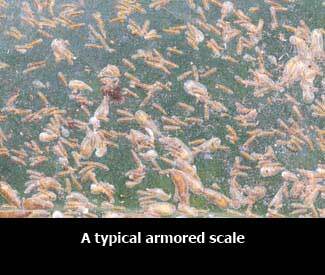 Because they are mobile and have not yet produced protective covers, newly hatched scales, known as crawlers, are relatively more susceptible to contact insecticides. 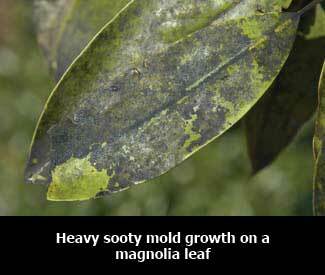 Older life stages are best controlled with systemic insecticides. Control Soft Scale: Treatment methods and timing vary depending on which species of soft scale you need to control. When attempting to control heavy infestations it is usually best to use a combination of treatment methods. 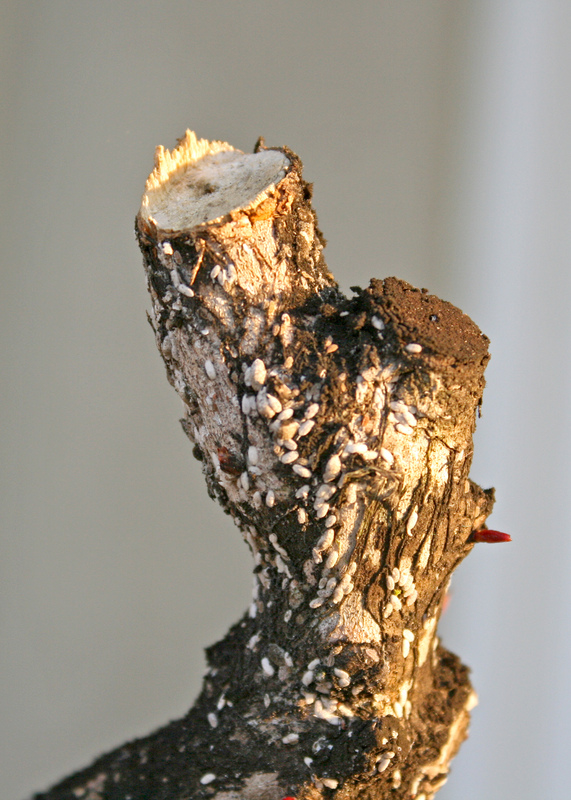 Prune plants to remove dead or dying branches or heavily infested limbs and to remove excessive growth before initiating treatments. 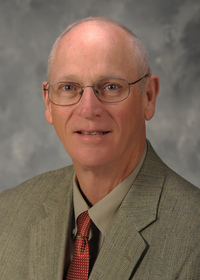 Soil-applied systemic treatments of products that contain imidacloprid (Bayer Tree and Shrub Insect Control is one example) are especially useful against most soft scales. These treatments are slow-acting, but can provide long-term control. 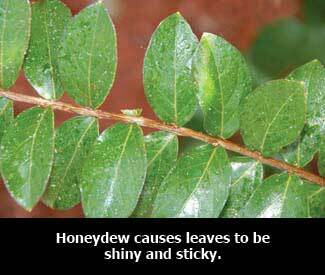 Mix with water according to label directions and apply to the soil immediately around the plant. Sprays of contact insecticides, such as malathion or acephate (Bonide Systemic Insect Control), applied when crawlers are active, are also effective, but it may take a series of sprays, applied at 7 to 10 day intervals, for best results. Sprays of horticultural oil (such as Volck oil or Bonide All Seasons Horticultural & Dormant Spray Oil) can also be effective, especially when applied against young, recently settled, scales. 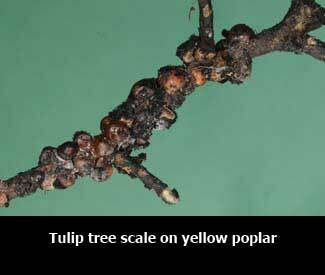 See Insect Pests of ornamental plants in the home landscape, pages 7-10 and pages 35-36 for more information on soft scale insects. 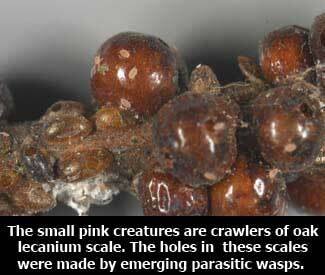 See page 8 of this publication for information on how to determine when scale crawlers are active.